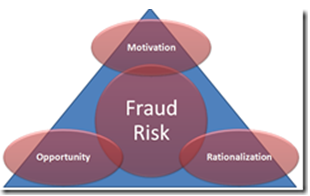 In this post on his blog, Eric describes what motivates fraudulent behavior and explains some common methods and processes to help you minimize and eliminate it from your assessments. He references the “Fraud Triangle” created by famed criminologist Donald Cressey to explain why people commit fraud. Eric examines the three elements in the triangle: Motivation, Rationalization and Opportunity. He also offers some practical tips for deterring fraud. If you are interested in this and many other issues surrounding assessment be sure to check out Eric’s blog.